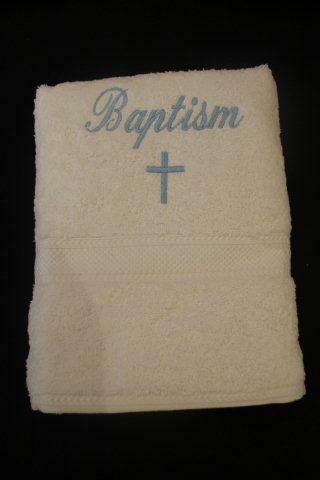 This beautiful bath towel will look beautiful on your little one's Baptism day. It is made from high quality egyptian cotton and is the size of a normal bath towel. It has the word Baptism embroidered on the towel and a lovely cross beneath it.